John Drayton's indigo brand. 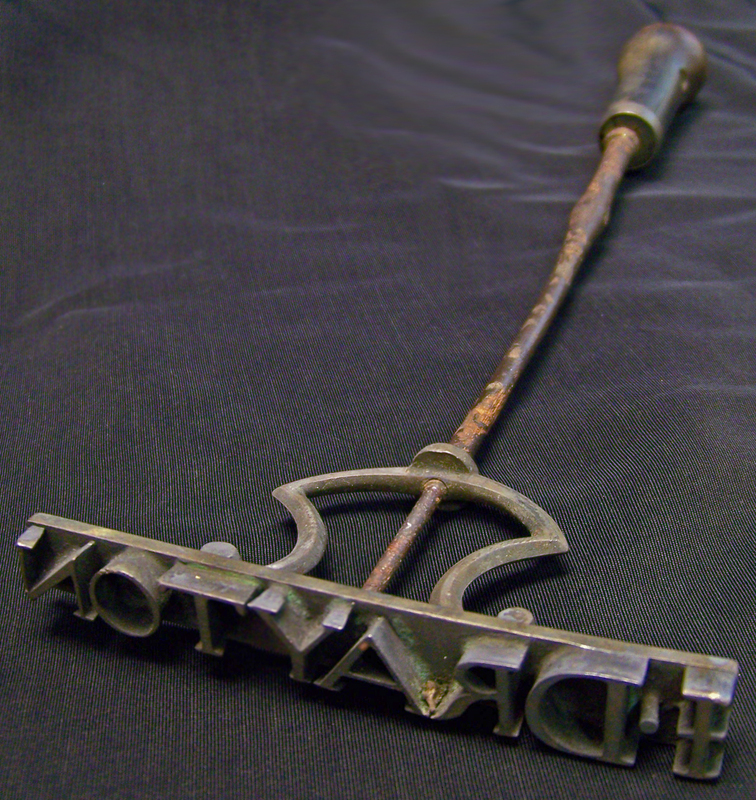 Wood handle, iron shaft, copper-alloy die. Total length 9 inches, die length 3 3/4 inches. 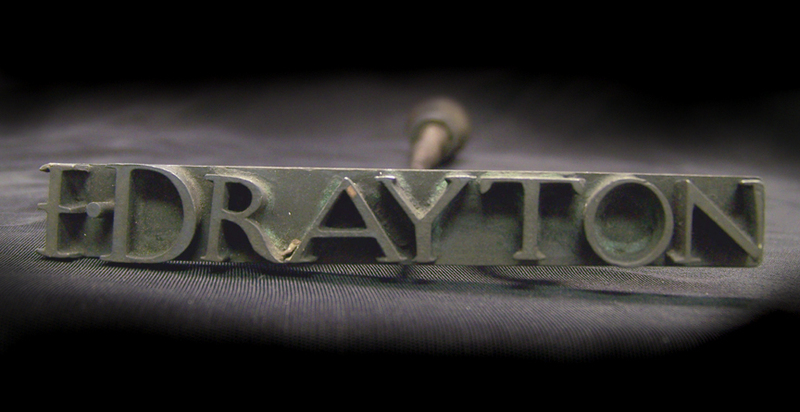 Mirror image of the Drayton brand. that survives from this period is his stamp wrought with his name “I. Drayton.” Because the stamp is made of a lightweight metal that is unable to withstand the high temperatures required for branding, it was likely used to mark indigo cakes prior to sale, as a mark of the manufacturer and an assurance of quality.